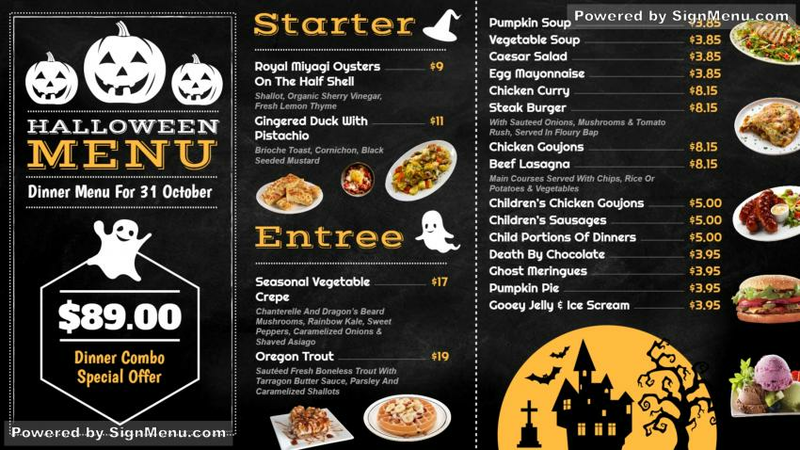 This template showcases the delectable menu for the Halloween event. The colors of black white and yellow give it a bold and elegant look and is sure to entice customers to the store. The digital signage menu board should be placed either at the entrance or indoors of the restaurant. The name & logo of the restaurant should also be highlighted on the menu board for branding and recall. this template is ready for download and use.